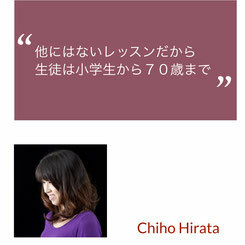 There are 50 active instructors in Japan. I took these pictures 16 years ago, when I attended the Blumenschule courses for the first time. I also entered my parents' flower shop at that time, and as it was not possible to learn really well at any other organisation, I firmly decided to attend the Hana Ami Blumenschule lessons to learn properly, and started to go to the headquarter school once a month. The first lesson was a Strauss, tying a spiral. There are a lot of basics in one bouquet, starting from workmanship, learning details, and spending a very fulfilling time. 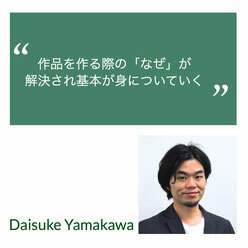 Everything was for the first time, and sometimes it didn't work, but as the lesson progressed, I felt that my questions were gradually solved, and my basics were getting better. I think it was a good to start for me at the Hana Ami Blumenschule. A not too difficult theory, easy to understand for even beginners, growing the ability to understand the design, which is so important. From April, we see three new students at the Blumenschule Koriyama school! We welcomed the students and started a fresh Beginner course. These three students feel the same as I felt at that time, feeling so good about having chosen the Hana Ami Blumenschule, so me too, I will kind of re-starting again with them! 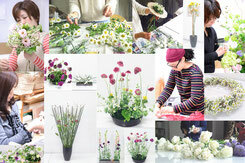 If you want to be a florist, or if you are already a florist, I would definitely recommend this course to you. Whether you are a beginner or already experienced, you will be able to learn really well in a perfectly tailored curriculum. There are a lot of flower arranging classes offered in Japan these days. 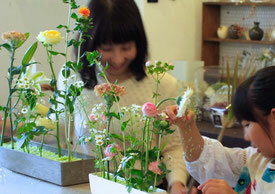 The "personality" of the Hana Ami Blumenschule is different from the many other flower arranging classes. You can learn a unique technology, which is very different from others. The Blumenschule is also characterized by providing a wide range of technics, that are not only intended for beginners but also for those, who are already qualified and have skills. At the Fukuoka branch school, which I am currently presiding over, there is a wide range of age groups taking part, we see even elementary school students. I think that it is because there is no other lesson content comparable to the contents of the Blumenschule. The curriculum and system of the Blumenschule, which allows you to learn a wide range of skills from beginner student to experienced student, will surely be useful, because you have a highly qualified Meister instructor teaching you! I think that learning the theory of flower designing is enabling us to show a beautiful flower in a way which makes her look even more beautiful. The florists we met in Germany welded the bases for their flower presentation by their own hands! I was shocked. 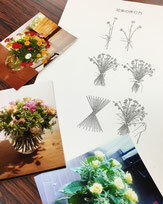 To enable the flowers to look more beautiful, they started from building a vessel! I think that the Blumenschule is a place to learn such a thing. I would many people to know more about the different way of flower arrangement teaching and learning at the Blumenschule. To study the design theory of the Hana Ami Blumenschule turned into a very big treasure for me, when develloping my own designs, develloping my skills as a lecturer and in my daily work. In order to acquire the ability to design, I think that it is necessary to learn based on a proper theory, and to acquire the sense for one's individual design, from there expanding oneself more. In addition, it is possible to connect with instructors nationwide, and, through Kubo-sensei and Gabriele-sensei, have the chance to learn even from foreign designers coming to Hana Ami. By all means, please try to expand your own unknown abilities at the Hana Ami Blumenschule. I learned designing with a theoretical backbone at the Blumenschule This is very helpful in my daily work as a flower designer today. I hope, that many people can experience the same merit at the Blumenschule! Please learn how to enjoy designing by studying at the Hana Ami Blumenschule. The encounters with various flowers are very enjoyable, and I am still impressed each time, even if I am arranging flowers for many years already. The students in the classroom think the same way, they are always so interested in the flowers, which arrive at the studio. To arrange flowers according to the natural appearance of a plant are as important as the messages sent by colors. After having learned to choose flowers well, we are working hard to stimulate each other, if it's the students, who just started the classroom, or the students who are taking part in contests, or the top prize winners of nationwide competitions. 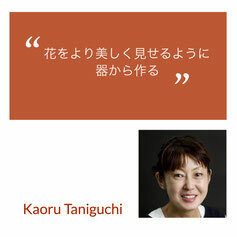 Each work is individual, each work has a goal. I think that the vivid appearance of everyone makes the special charm of the Hana Ami Blumenschule. The Hana Ami Blumenschule lessons are based on art theory and botany. I think, that learning about design backed up with theory, is very important and I feel empowered as a designer and as a teacher. 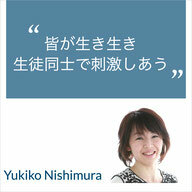 I strongly feel that theory and technics are important for creation. The students at Quelle, my school in Takarazuka are housewives, OL and florists, and various other people. I think that the Hana Ami Blumenschule can deliver the most wonderful know-how, a bright future and a rich life experience to all those who love flowers.